Shed season is still going strong. 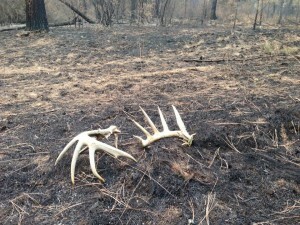 Fella on my squad stumbled upon these on the Clearwater Complex Fire outside of Kamiah, ID. I put the tape to them and got 172″ gross with 16″ of extras at the base. Fortunately they were in light grass so they’re still in awesome condition! These sheds were found only 50 miles or so from where I will be hunting for whitetails the first week of November. 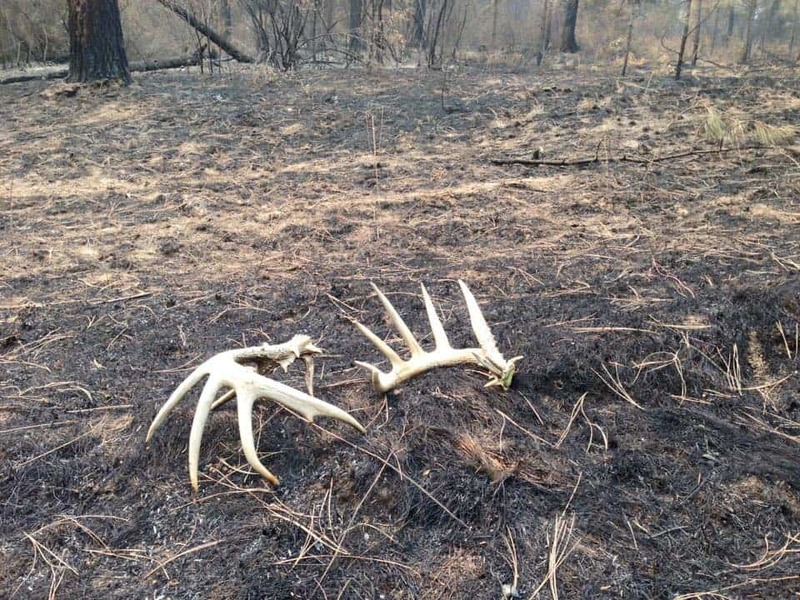 It’s nice to know there are some big bucks in this country, and I hope the fires don’t cause us to cancel this hunt. In Idaho, more than 150 fires are burning on the combined forests and nearby state and private lands. 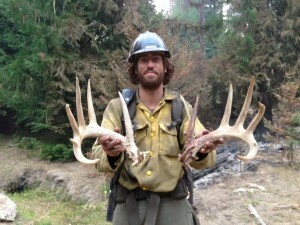 Thanks to Noah and all the guys and gals that are fighting fires all over the West. 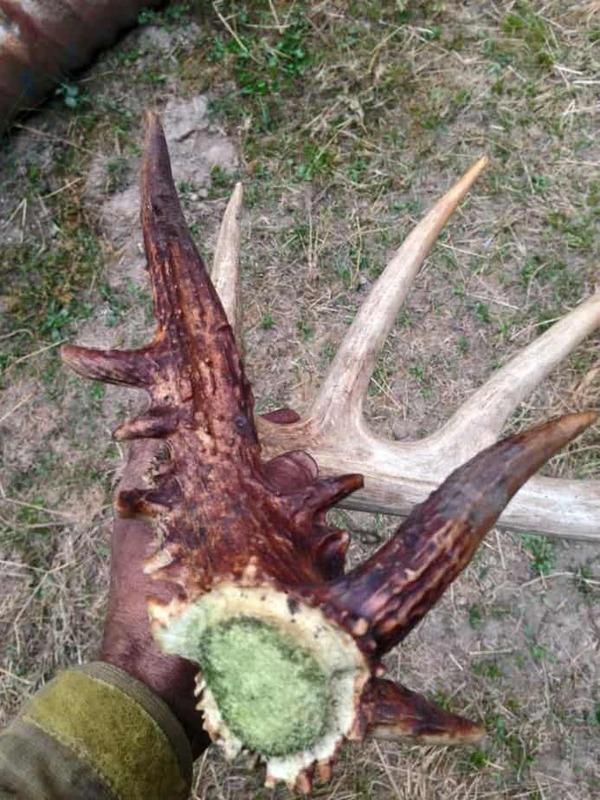 Nice to see sheds can last through something like that, thanks for sharing……gets the blood flowing. Four to Four and a half months till good shed hunting. Awesome sheds! !thanks for shari.g !! Awesome sheds. thanks for sharing !! Those are assume. I would like too see some 1/2 that size.